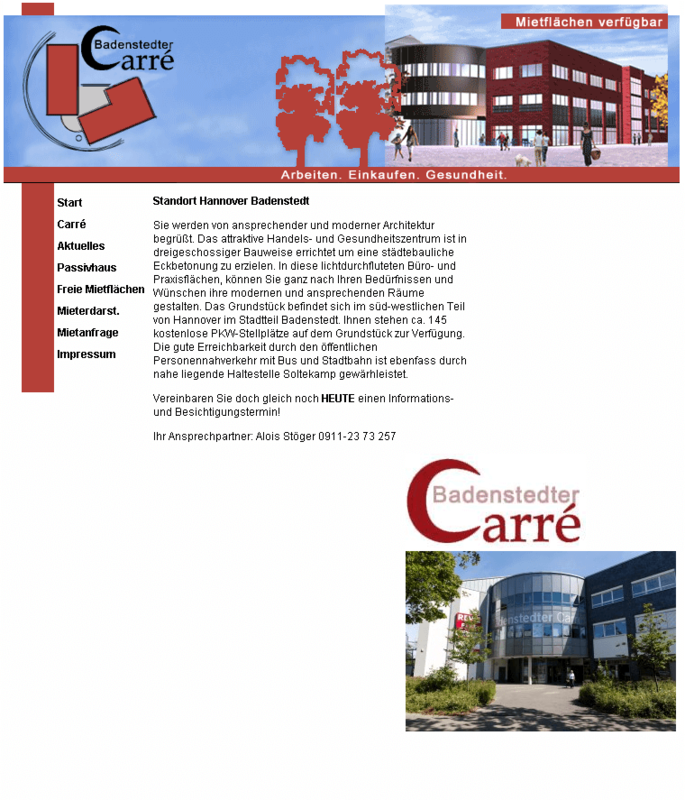 The Badenstedter Carré is the first office, practice and commercial building in the passive house standard in Hanover. The website offers the central point of contact for customers and prospective tenants and is used as a marketing space for the individual rental units. For easier content management, ilscipio migrated the old website to the WordPress content management system.